Islington is a mainly residential district in the London Borough of Islington. With a population of around 200,000 across the borough and superb access to the capital, the property market in Islington is booming. At My Home Move Conveyancing we provide a specialist, fixed fee conveyancing service. We can help you find your perfect home in Islington, having developed our knowledge and expertise of similar property markets since 2001. When buying or selling property in Islington, you need to instruct property lawyers to carry out the legal work on your behalf. 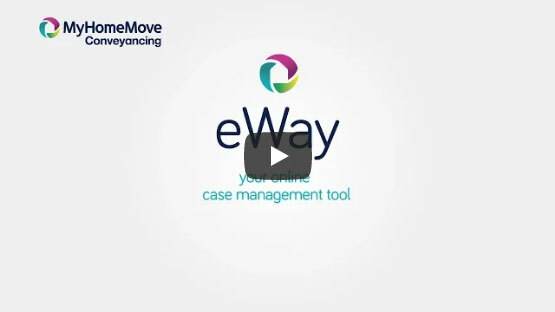 My Home Move Conveyancing offers our clients in Islington an award winning level of customer service, innovative use of technology and intimate knowledge of the local market. Our fixed fee conveyancing service comes with no hidden extra costs to worry about, so when you choose us to be your Islington conveyancers, you’ll know exactly how much you’re going to pay from the start. For extra peace of mind, if you don’t end up completing, then you won’t have to pay us a thing in legal fees. We’ll assign you a dedicated conveyancer, who’ll take care of all aspects of your case right through to completion. You’ll have a consistent point of contact and regular, easy to understand updates. At My Home Move Conveyancing we proudly and professionally assist homebuyers with our conveyancing services in Islington, whether you want to be in Islington itself or neighbourhoods such as Canonbury, Finsbury Park, Holloway or Tufnell Park. The average house price in Islington is £673,350, while the overall average sale price during the past 12 months was significantly higher than this at £757,591. Most sales involved flats which went for an average of £632,568, while terraces fetched £1,453.431 and semis £1,929,996. Originally named by the Saxons at the start of the 11th century, Islington was just a small manor in medieval times. Standing on a hill which the area was named after, Islington has long been an important water source for the City of London. The availability of water made the area a great place for growing fresh produce in the 17th and 18th centuries, which made the manor a popular place to visit to escape the bustle of the city. Nowadays, it’s the close proximity to Central London which makes Islington such an attractive place to live. There are train and tube stations right across the borough, from Angel Islington to Essex Road and Highbury & Islington. Notably, King’s Cross station lies just outside the borough’s southwestern border, which is next door to St Pancras International station too. The A10 road provides a direct route out of the city towards the M25, and when you want to go on holiday it’s easy to get to airports like Heathrow with public transport. If you’re looking for a good school to send your children to, there are plenty of options in the local area including St Mary’s CofE, Thornhill Primary and Canonbury Primary. If your kids are a little older, the City of London Academy Islington, Highbury Fields School and Regent High School all provide secondary education, while the Elizabeth Garrett Anderson school is a specialist language college. For higher education facilities, London’s wide selection of universities is right on Islington’s doorstep. All properties in Islington will fall within one of the following council tax bands.